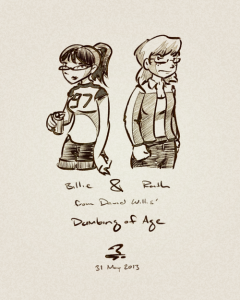 Okay, so this half-breaks this week’s fan art theme of Billie and Ruth, but I’d ran out of Billie and Ruth art! 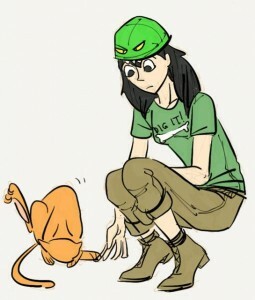 (someone fix that) So here’s an amazing Billie and Joyce by fasterthanstarlight, stolen from her Deviantart. It’s actually the finished product of a sweet coloring tutorial she did! I’d go check that out. I am constantly reminded that other folks dress my characters way better than I do. Let’s continue our Ruth/Billie fan art theme, why not. Here’s something by Ryuusei924, in which Ruth explores cutlery. It’s Billie and Ruth time in the comic, so have some Billie and Ruth art! This one’s by Astrid Lydia Johannsen, and I stole it from her Tumblr! 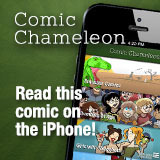 She’s also got a comic, Threads from the Blue Rock Tapestry. Some appropriate fanart for this week! It’s by YouIsIsYouWhoIsYou, and I totally stole it off their Tumblr. 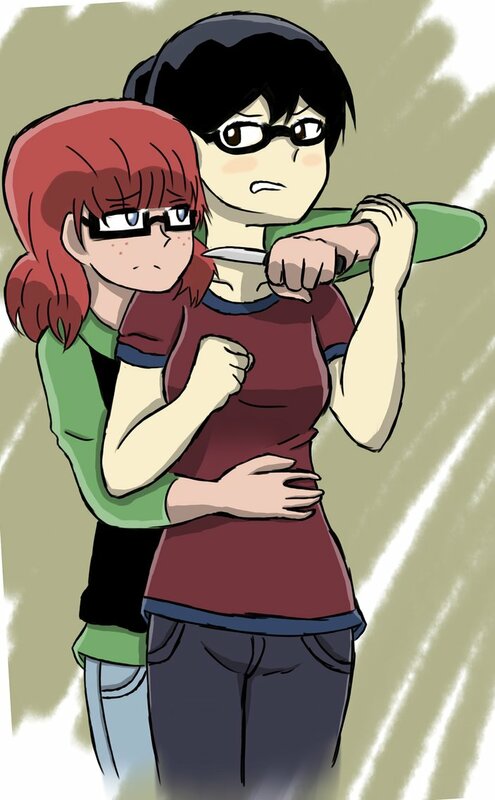 Seemed like appropriate art to pull from my Dumbing of Age fan art folder for this week. It’s by Yotomoe, as if you couldn’t tell, you know, from the adorableness. The title is mine, I guess I should say. Holy crap, more birthday art for me! 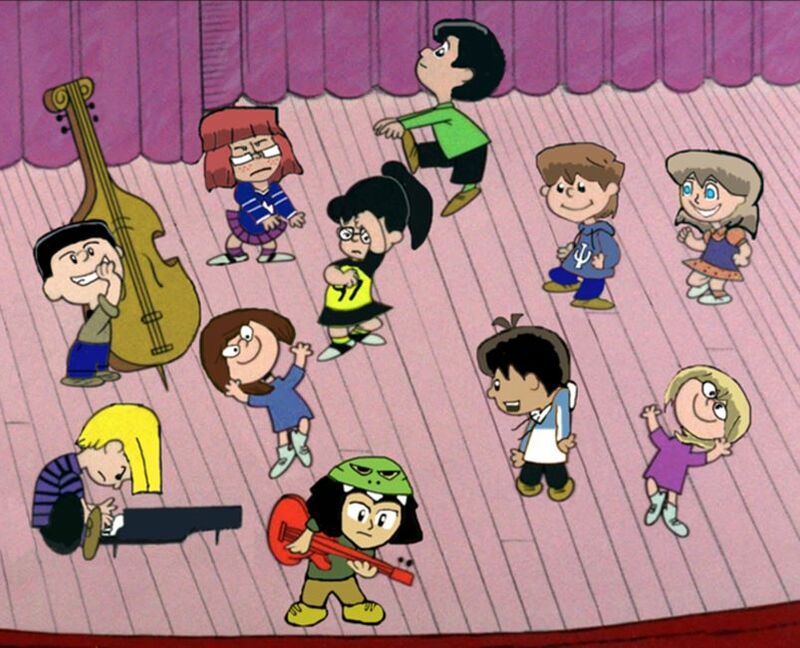 This amazing thing is by MLBlue, who apparently knows that Peanuts is a pretty big throughway in my heart. This particular traffic intersection makes me the happies. Lar DeSouza (Least I Could Do, Looking For Group) and I are Best Convention Buds. He’s not my Convention Wife like Joel Watson is, but he’s at least a Convention Concubine. And so he drew me some birthday art. 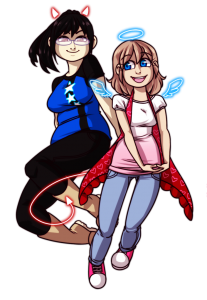 Addendum: He drew me some birthday art of Dorothy and Billie. 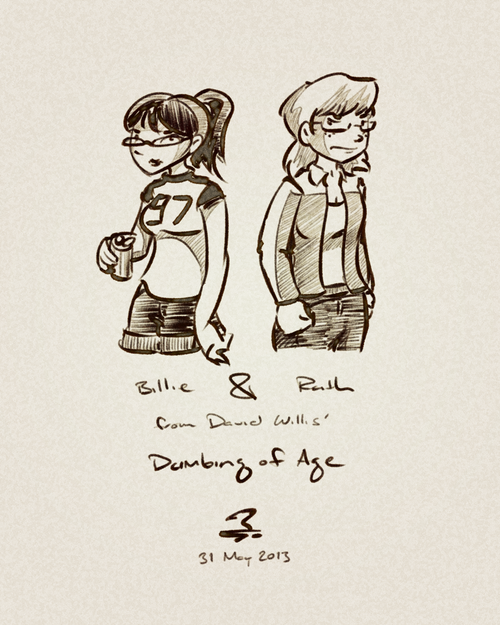 Addendum the second: He drew me some birthday art of Dorothy and Billie in swimsuits in a mock Betty-and-Veronica-style comic book cover. Studio Brassy has gifted us more art! This time it’s of Dina observing an orange cat goin’ to licky-town. 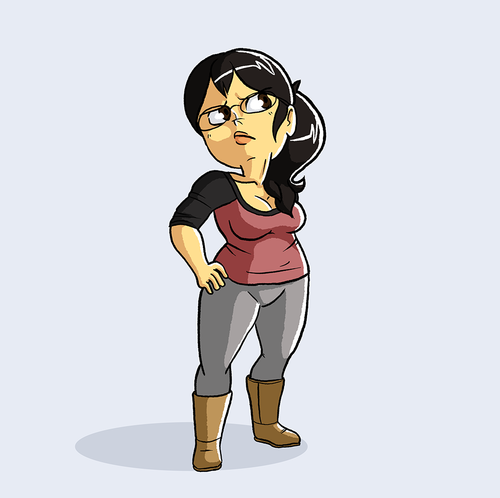 Dina sometimes wears boots with heels when she wants to pretend to be a slightly taller dinosaur. Hey, Amber, check out your new faaaaaaaaaaaaaaaaaaaaaace. The doctored image is courtesy of Dan Dubinsky, and it gave me a good guffaw. If you wanna see Amber’s original primate-style grumpy face, it’s back here, of course.